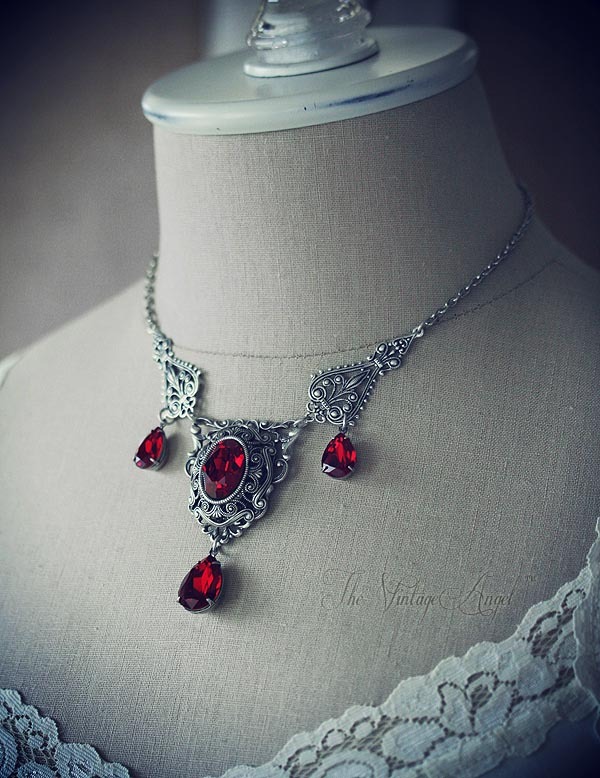 I have spared no detail or expense in creating this amazingly intricate, show stopping necklace. 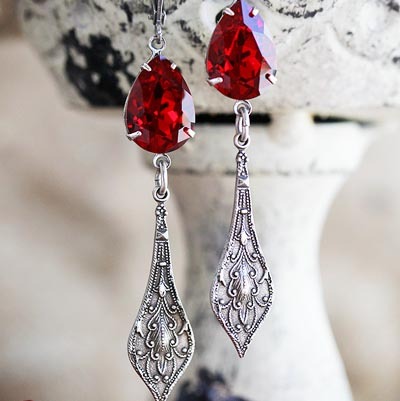 Aged silver filigree pieces perfectly compliment the multiple ruby red Swarovski crystals that dance and sparkle on this romantic piece. 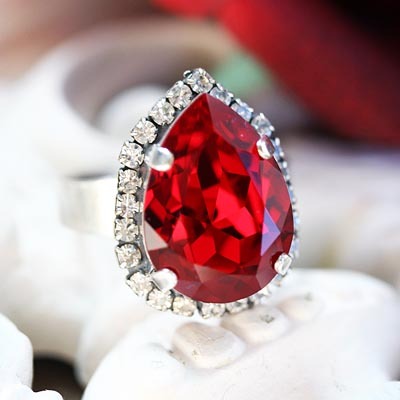 Three ruby red Swarovski pear drops add drama, while an oval faceted Swarovski gem sits center stage. 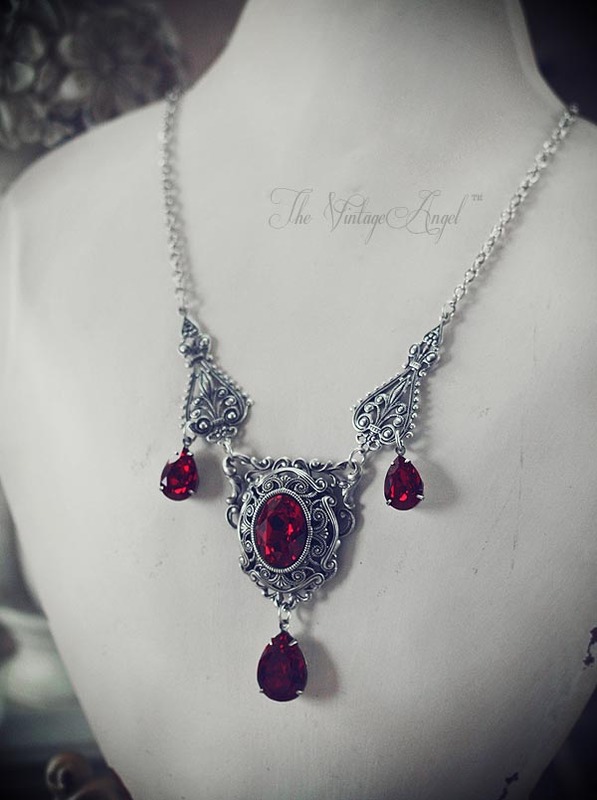 Elaborate filigree pieces lead up to fully adjustable chain so you can wear it just at the base of your neck or a little longer. Fully adjustable from 16" long to 20" long. 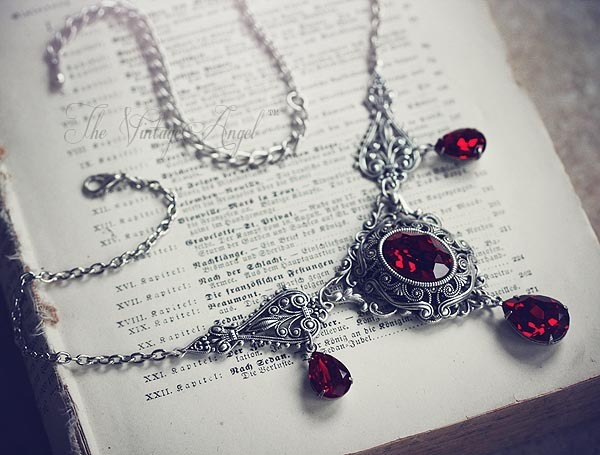 Chain adjusts from 16" - 20", lobster clasp closure.